One of the strangest things about Japan is that you can spend an entire day inside a shopping mall and have the best time! If it's raining and gloomy out or if the air hot and humid, there is always sanctuary inside giant shopping centres like Kyoto Yodobashi! Inside you'll not only find interesting shops to explore, but you can also eat at some delectable restaurants, have a gourmet coffee and play like a kid in the arcades. 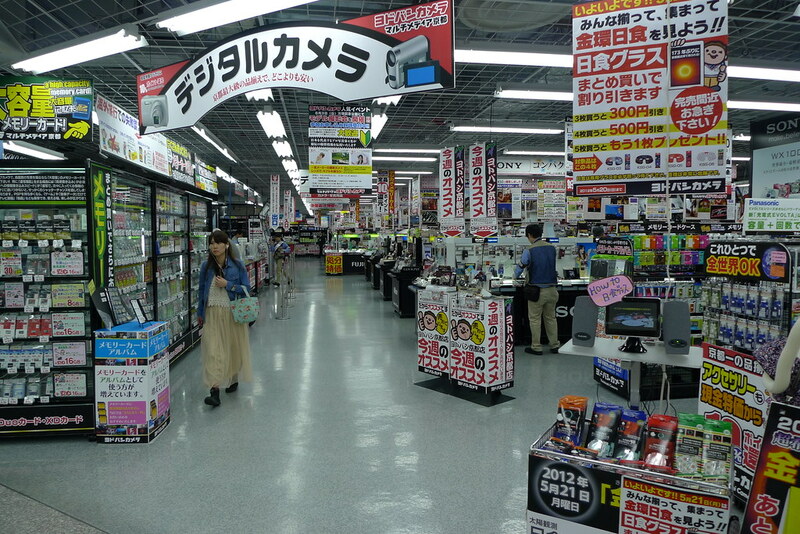 Yodobashi Camera Co. was a Japanese electronics chain founded by Terukazu Fujisawa in 1960. It was one of the first kind and would be the blueprint for the modern day electronic store. They were the first to let the general public see and touch cameras which they would take out of the box and put on display. 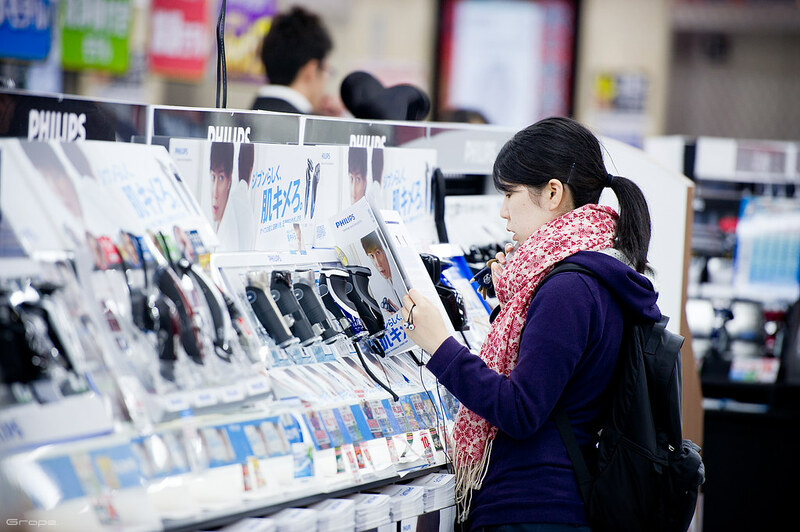 This way, before spending thousands of yen, buyers go to touch and play with these high-end items. 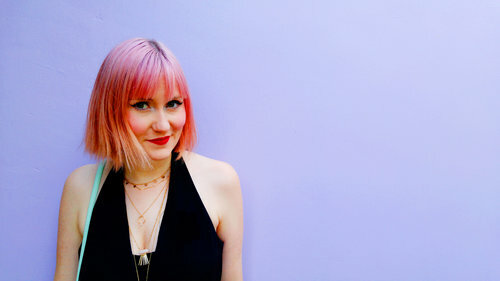 It made purchasing them more understandable and relatable to a new customer. 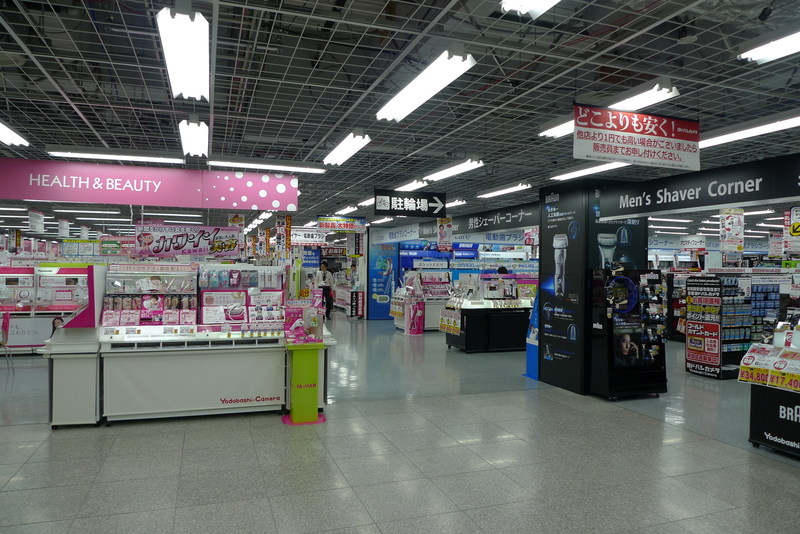 Nowadays, Yodobashi sells more than just cameras (although their selections of cameras is still pretty impressive). They sell home goods, hundreds of electronics, toys, cosmetics and more! One of the strategies that Yodobashi employs is to build their locations near trains stations, making it extremely convenient and visible to customers who travel by train on a weekly basis. 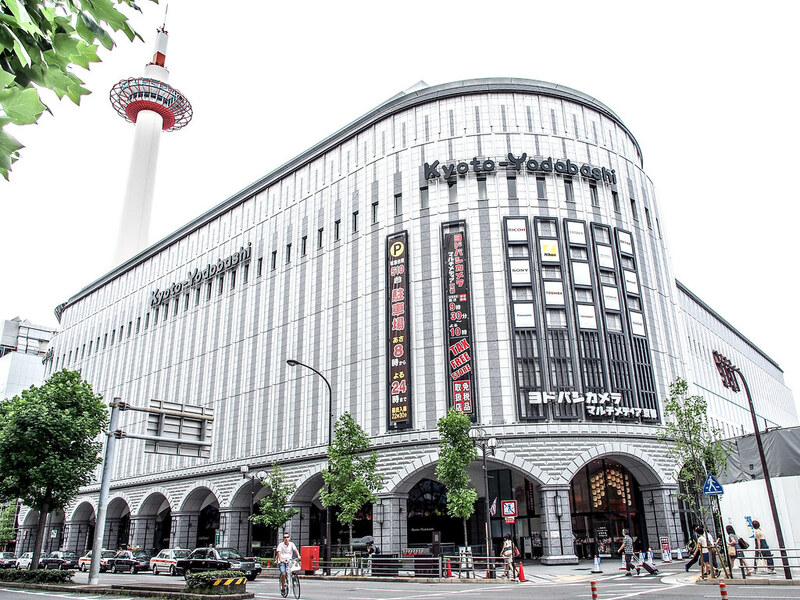 The Kyoto branch of Yodobashi was built in 2010. 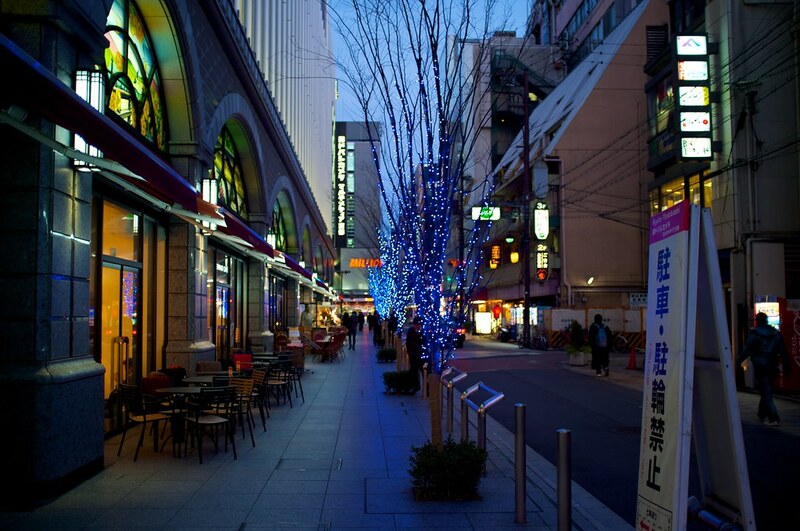 Four of the six floors are occupied by Yodobashi, and the rest are rented out shops, restaurants, cafes and a bookshop. There is even a British Style Pub on the first floor with an outdoor patio that is EXTREMELY popular with local Japanese residents. 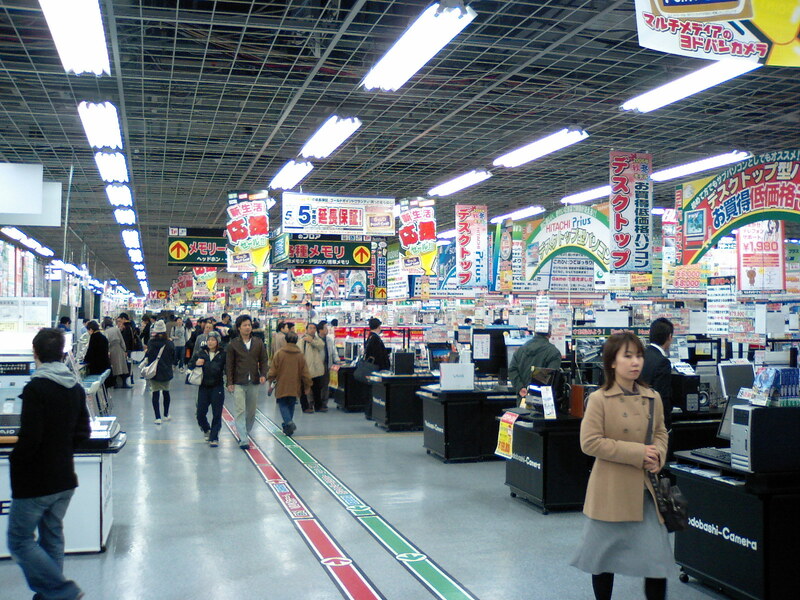 The interior of Kyoto Yodobashi can be quite the shock. The lights are extremely bright, and the music is always at a 10! Signage with discounts, deals and more scream out at you from every direction and finding your way around is almost impossible. The design of the store is made to ensure you wander and see everything before finding what you need. The best thing to do is explore each floor and see what you come across. Along the exterior perimeter of the 1st floor is where you'll find a few small cafes and inside is the place to try out all the newest iPhones and mobile phones that are out in Japan. The iPhones might be synonymous with the rest of the world, but there are various kinds of cell phones exclusive to Japan that are worth looking at if only to admire. 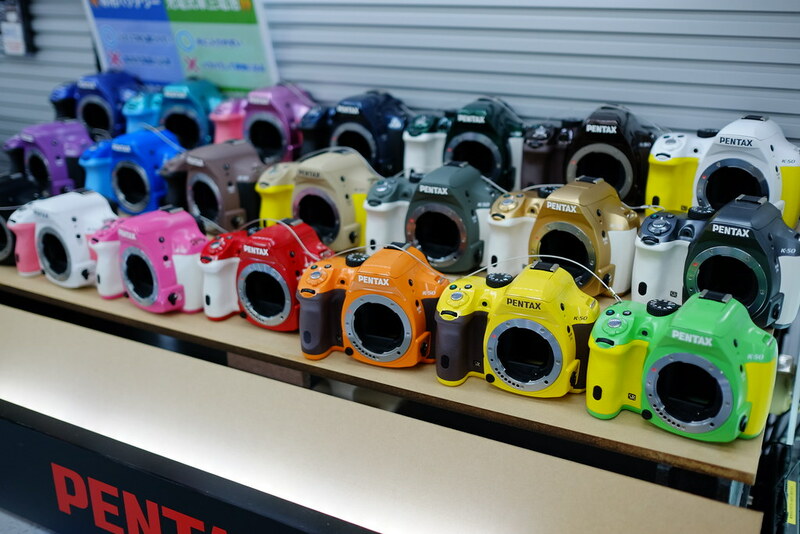 Their selection of cameras is still very impressive, and I had to restrain myself from buying one! There were so many varieties and options we never see in Canada. They came in neon colours and there were so many designed to look like vintage cameras but with modern interiors. I think I would consider saving up to purchase one my next trip out here. 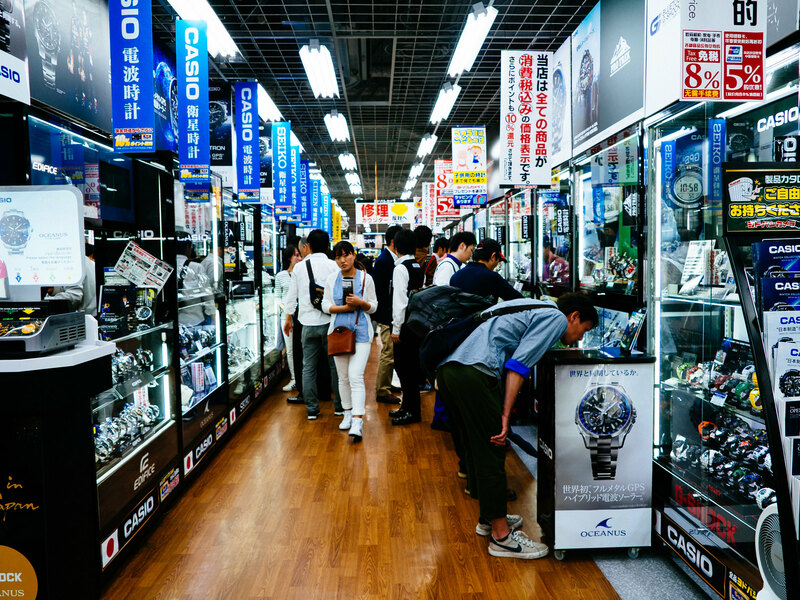 The selection of watches in Yodobashi is also extremely comprehensive. Even though everyone has a "watch" on their phones these days and it might seem like something that has gone the way of the dinosaurs, watches have seen a resurgence in fashion in the last few years. Here you can find some great styles and brands at competitive prices and even search out for some great deals! 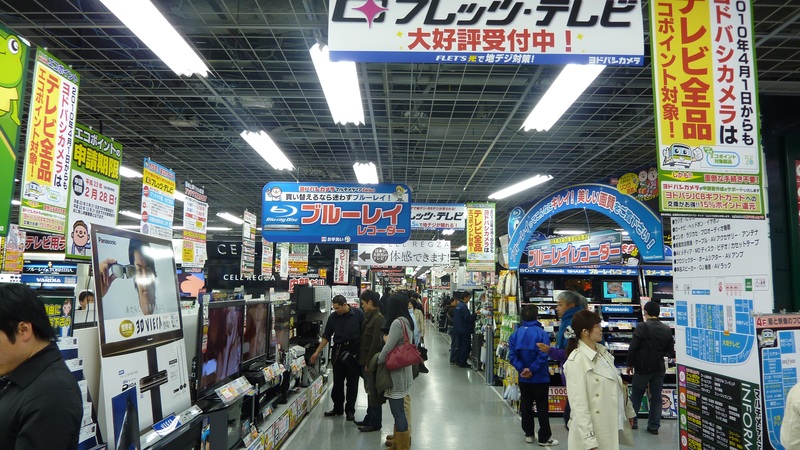 If you're not from Japan and spend a certain amount of money at Yodobashi, you are eligible for a tax-free purchase. Be sure to bring your passport and ask the cashier, and they will help make sure you don't have to pay any of the tax, another way to get a significant saving on a high priced item! On the 2nd floor is their extensive selection of PC peripherals. 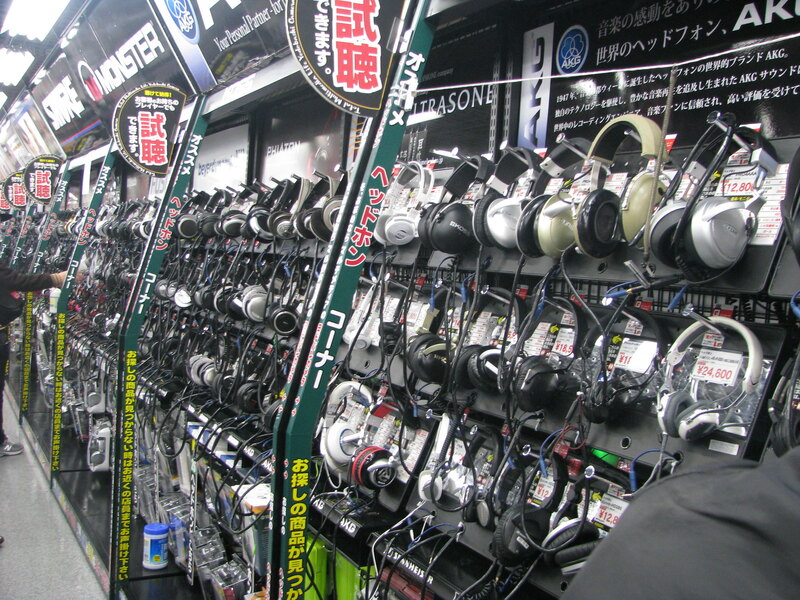 While this might seem a little mundane, you have to check out the headphones aisle where you'll find HUNDREDS of styles, brands and colours of headphone. There are some absolute stunners, so if you want to jazz up your PC at work, you can find a unique set of headphones here. 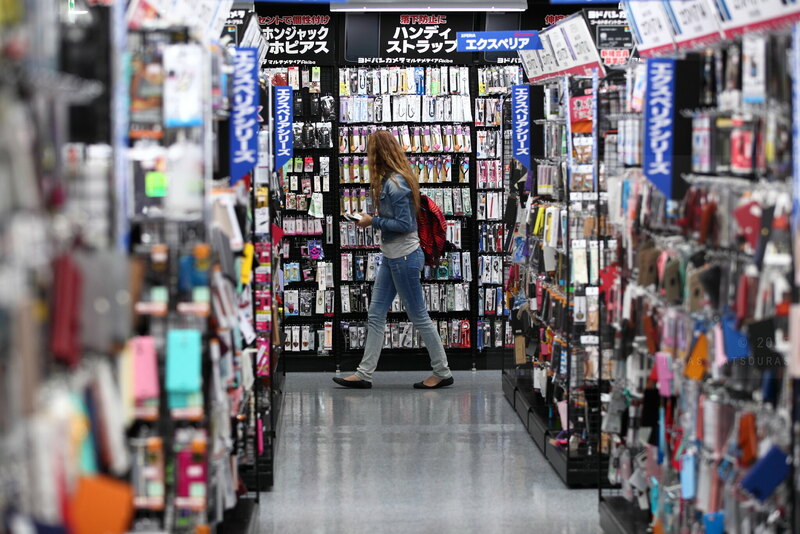 The 3rd floor of Yodobashi is where you can find toys, craft materials, stationary and hobbyist goods! This was my favourite floor. 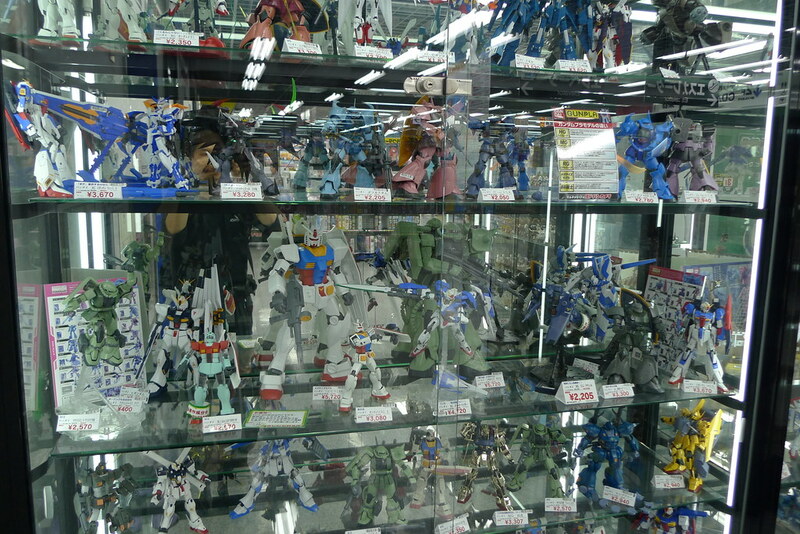 Adults collecting toys isn't frowned upon in Japan, in fact, its pretty much part of being an adult over there. These collectables are incredible works of art to be treasured and allows the kid inside all of us to live on. We became obsessed with the "Pose Skeleton" figurines. These toys are super popular in Japan, and there are hundreds of sets you can collect. They are completely posable and come with pieces of furniture, outfits and even pets. There is something both morbid and delightful about these smiling skeleton living on despite being long dead. Their craft selection was heaven. There were so many different kits in brightly coloured pink packages and I tried my hardest not to take them all home with me. For anyone interested in crafting, this is a MUST-SEE part of the store. My favourite of the Japanese art collections were the "decora" sets. They each came with different cakes and miniature food items that you could decorate with 'whipple creme', gems, plastic bows and tiny fruits. Japan is obsessed with miniaturization, perhaps because their living spaces are becoming smaller and smaller and there simply isn't room. The main arcade is also located on the 3rd floor. This arcade was slightly different than others we'd visited since it had game machines that required physical cards, wands and other toys to operate the game. Players here were dedicated to their game of choice and brought in special accessories to compete. The bright colours and flashing lights drew me in, but I never took the time to understand how any of these games worked. Their gachapon centre had some of the best selection we found all over Japan. We wandered up and down the aisles, looking for the strangest ones we could find. This was it! A vintage bucket gachapon! Perfect for putting into your miniature garden I suppose. The fashion boutiques are found on the 4th and 5th floors as well as a huge sports store on the 5th floor. The fashion stores are worth checking out since they have little gems to discover. I loved spotting the funny English sayings they loved putting on the clothes. I'm sure it's pretty similar to when we use Asian characters on our clothes just to make them appear "international". The 6th floor is where you'll find “Yodobashi Dining”. Here you'll eat and drink your way across continents through a myriad of restaurants from Westers, to Chinese, to Japanese. We had a coupon we found in a local newspaper for a Shabu-Shabu restaurant and decided to give this a try for dinner. Shabu-shabu is a Japanese version of Chinese hot pot where you cook thinly sliced meat and vegetables in a boiling pot of water. 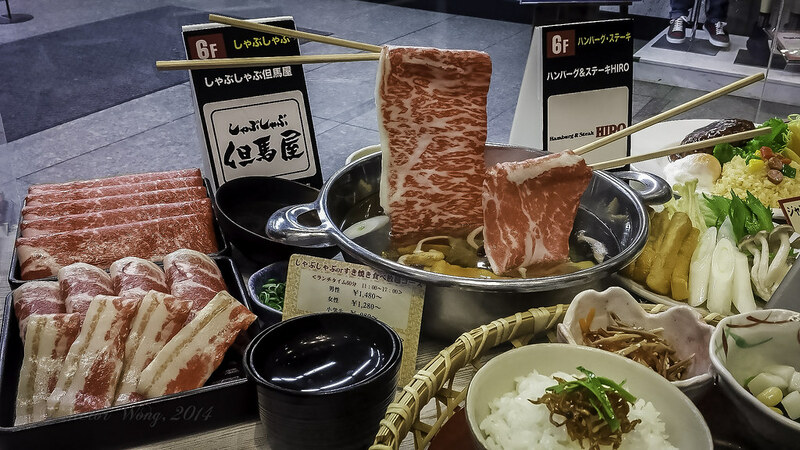 The name Shabu-shabu is onomatopoeia because of the sound you make when stirring the meat inside the cooking pot. After the meat and veg are cooked, you dip the ingredients into a sauce of your own creation made with any combination of soy sauce, sesame paste, ponzu sauce and spring onions and Japanese pickles and then you eat it over rice. We had such a good time cooking our food and making different combinations of flavours! There was a buffet full of options to put inside your shabu-shabu. Different greens, a variety of mushrooms, hot dogs (! ), onions, rice cakes, noodles and more! You had to request the meat from the server and only after you finished one plate of meat could you be served a second. This might seem like a big effort but it significantly reduces waste, and the servers were always very quick to bring you over the next plate. The environment was so exciting, huge groups of people were gathered around these steaming pots, laughing, drinking and enjoying each others company while they ate. They even had a huge ice cream bar, which was all you can eat as well, so we obviously had to try every flavour. After a heavy meal, we decided to walk off all that meat with a perusal of the 6th-floor bookshop and cafe. Many people sat reading outside the shop, enjoying a delicious cup of coffee. Inside the bookshop, there were so many unique books and magazine to read. 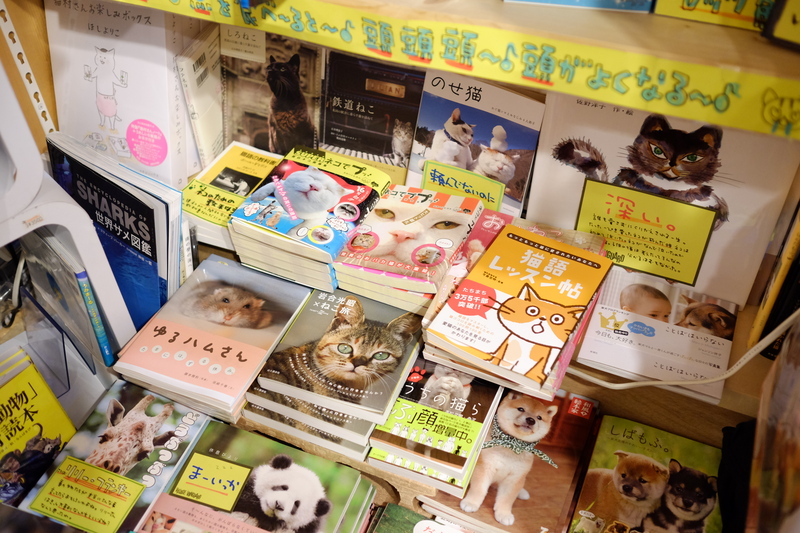 They even had a small English selection with great books on tourism around Japan. Beside the coffee shop, there is a small arcade with Purikura photo booths and UFO catchers to spend those last few yen you have in your coin purse. We were obsessed with the Purikura booths and by this time on our trip had got pretty good at designing the final prints. If you're looking for somewhere to eat, shop or pass the time on a bad weather day, this is a great low-key option. Being so close to the train station, it's also a great place to grab last minute souvenirs before heading out to the airport!